These are vintage acrylic cabochons that were made in Italy. They are black with a random speckled design. 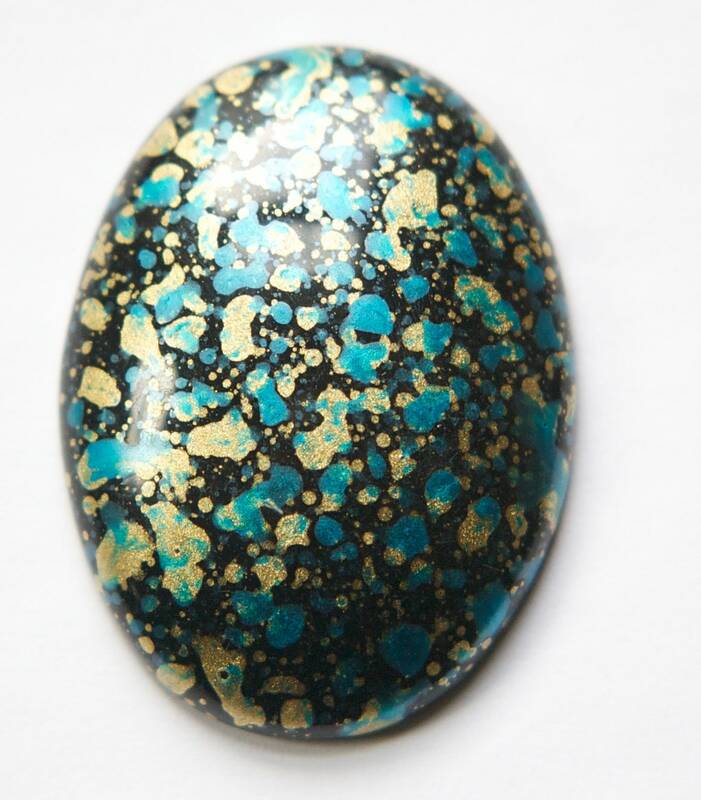 The speckles are gold and a blue color. The backs are flat and the front is domed. These measure 40mm x 30mm. You will receive 2 pieces. Great seller, lovely items, fast shipping. Thanks! !